If you have decided that a cat is the right pet for you, then you may think that the decision-making process is complete, but in fact, you are still at the very beginning. Cats, like humans, are all very different and selecting one to suit your needs and lifestyle is vitally important as it will require the commitment of your love, care, and attention for upwards of 10 years. Here is our guide to helping you pick your perfect cat. 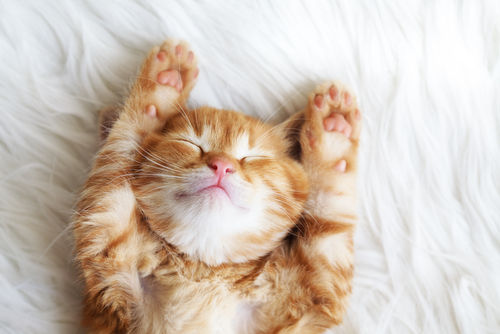 Many people instinctively choose kittens over adult cats, and this is largely due to their childlike cuteness, curiosity, and playful behavior. However, they may not realize that they need a great deal of supervision, patience, attention, and training. Leave unsupervised kittens in your sitting room for any period of time and you could be faced with a surprising level of destruction! It is also difficult to know exactly what personality they may develop once they outgrow their kitten traits. She may become a docile companion, or she may continue to be a mischievous and energetic ball of fur. It is also important to remember that if you are bringing a kitten into a home with very young children, you will need to provide an added amount of supervision. 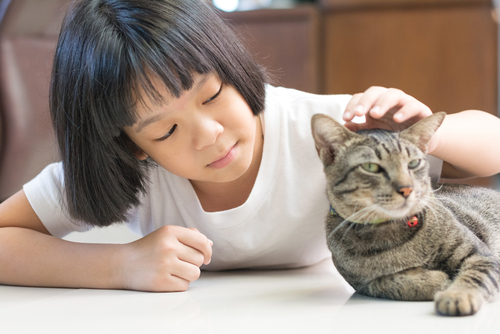 This is because your child may be exhibiting the same curiosity and mischievous behavior as your kittens and will be unlikely to give them the gentle touch that they require. By comparison, older cats may have outgrown some of that initial cuteness, but the typical behaviors that they exhibit after around the age of one will be a reliable indicator of their regular temperament. Responsible pet owners always make sure that their pets are well groomed, and in the case of longer hair animals this can prove to be a considerable commitment. Long fur will need to be brushed at least once per day to prevent matting and so if you opt for a long haired, cat then you will need to ensure that you have sufficient time to dedicate to daily grooming. Not all cats like bring groomed and if your cat doesn’t then you may have to enlist the services of a professional groomer. However, if your cat is one that loves to be pampered then she will come running as soon as she sees her brush! While pure breed cats tend to conform to what is known as a ‘breed standard,’ meaning that you can predict their expected physical and behavioral characteristics based on breed type, each animal is still unique. Many people believe that purchasing a pure breed will not only guarantee its temperament, but will also ensure it has good health, but sadly this is not the case. Many pure breed animals suffer from genetic health problems due to inter-breeding. It is also possible to estimate the physical and behavioral traits of mixed breed cats based on the combination of breeds used to create it. For example, combining two short-haired, highly active breeds will be extremely likely to produce another short-haired highly active cat. As we have said, whether pure or mixed breed, each cat is unique and will require handling to suit their personality. Some are sedentary, some are active, some love to be stroked and handled, and others will only come to you for petting when it suits them. If you are looking for a companion cat, then you would ideally be looking for a sedentary and tactile cat, whereas if you are looking for a cat to play with children, then you should aim for an active breed.